Commerce Lac-Mégantic offers this interactive map so you can shop you way through the city. Lac-Mégantic's commercial offer is wide and diverse where you can find everything you need: restaurants, clothes, shoes, accommodations, gifts, health & well being and more! Destination Lac-Mégantic is an invitation that you can't miss to visit our commercial and touristic businesses. The interactive platform becomes the gateway to unique discoveries, historic sites and local treasures. You can randomly browse the map or you can categorize it so you only see the selected type of businesses. However you choose to use the platform, you will end up meeting devoted entrepreneurs/owners that will welcome you warmly. Discover Lac-Mégantic in a few clicks and learn about the current promotion and events organized throughout the city. Located in the heart of the MRC du Granit, Lac-Mégantic and its 6 000 residents will surprise you with their dynamism and their economic, cultural and social vitality. 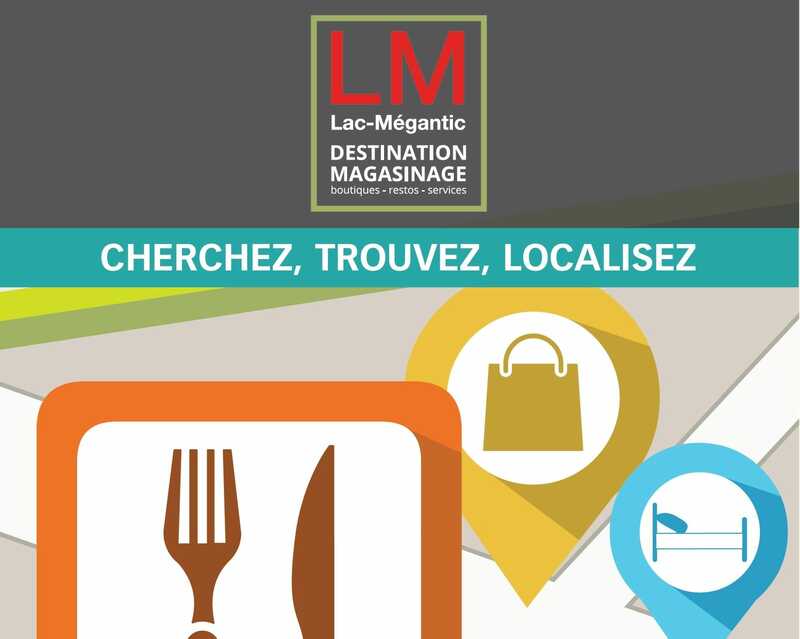 Destination Lac-Mégantic: An essential gateway for anyone that would like to buy locally or just enhance their stay in Lac-Mégantic.